SILVERTON, Ore. – Going into the woods is the best way to learn about the forest and The Oregon Forest Resources Institute (OFRI) and the Oregon Garden Foundation are making it possible for everyone who wants to be involved to do just that. About 200,000 people a year visit The Oregon Garden Rediscovery Forest as tourists, or participants in events and education programs, said Julie Woodward who manages the forest and programs. They leave with a better understanding of Oregon’s forests, wetlands and wildlife. More than 6,000 of those visitors are students and teachers. About 5500 fourth through sixth grade students, about 200 high school students and 150 classroom teachers are welcomed annually,” Woodward said. 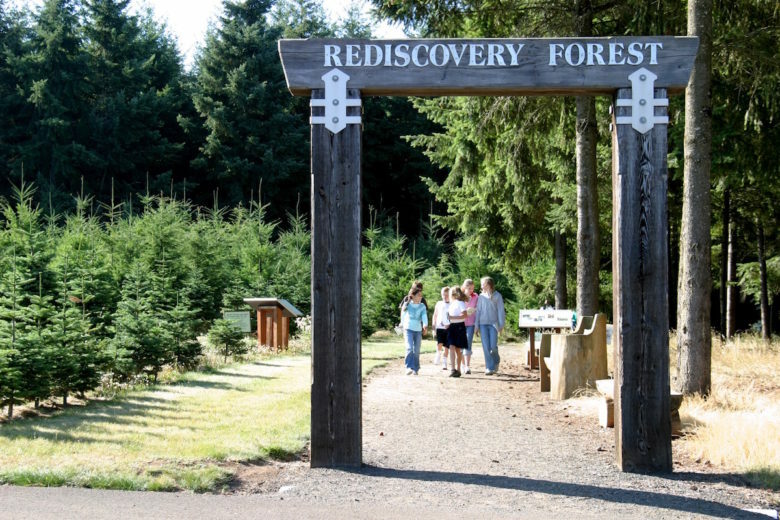 “We host about 75 family forestland owners a year for a variety of workshops we co-host with Oregon State University (OSU) Extension and over 100 teachers participate in professional development workshops hosted by OFRI here at the Rediscovery Forest,” she added. Woodward, whose grandfather was a logger and husband is a forester, feels right at home in the Rediscovery Forest. Born and raised on a 500-acre tree farm in Silverton, she holds a double Bachelor of Science degree in forestry and business and a Masters in Natural Resource Education from OSU. 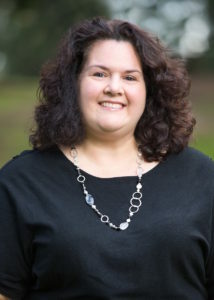 In 2001, she joined OFRI as an intern and developed numerous educational programs that she now directs. The Oregon Garden’s history officially started with a groundbreaking ceremony on June 27, 1997. 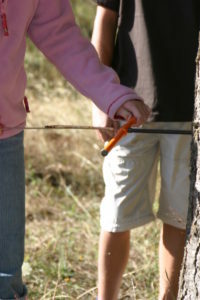 The Rediscovery Forest and National Resource Education Center opened in 2002. Julie Woodward; photo courtesy OFRI. The Oregon Garden Natural Resources Education Program is open to the public and can be reserved on a first come, first served basis. Programs are limited to three classrooms per day so group arrangements should be made several months in advance. For more information, visit http://www.oregongarden.org/gardens/rediscovery-forest/ For more information on the Oregon Forest Resource Institute, visit www.oregonforests.org. One Pan Annie Gives Onions Respect . . .